The novels nominated for the Intermediate California Young Reader Medal this year will bring your 3rd through 6th graders plenty of what they love: fun, magic and imagination. As always, readers must read all novels nominated in a category to be eligible to vote. Here is a quick summary of each novel in the Intermediate category. Chock-full of puzzles, Escape from Mr Lemoncello’s Library by Chris Grabenstein is very popular with 2nd – 5th grade readers, who love to solve the puzzles along with the characters. The Public Library in Alexandriaville had been closed for 11 years. Mr. Lemoncello, world-famous game-maker and public library supporter, set out to right this wrong by holding an extravagant party/contest for 12 twelve-year olds to celebrate the opening of the brand new state of-the-art public library. This book details that contest by following the stories of a couple of those contestants. Librarians, like me, will enjoy the many references to children’s literature and the Dewey Decimal classification system. This book begs for group projects like create a game and the website mentioned in the back of the book has extensions galore. The other two books nominated are both fantasies. Anne Ursu’s The Real Boy is the more adventurous of the two. Oscar knows he’s different but he doesn’t know why. He understands cats, but not people. The magician’s apprentice tells Oscar he’s useless; worthless. When something unknown attacks the village and the magician is gone, Oscar wonders if he can possibly help – and how. Ursu’s robust fantasy will have readers questioning the role of magic in fairy tales and in their own lives. This is good for fantasy and fairy tale readers 4th grade and up. I have a free Story Sheet called Sensing Magic which examines Ursu’s use of sensory words to convey Oscar’s changing attitude toward magic and challenges students to begin a magical story. Liesl Shurtliff’s Rump: The True Story of Rumpelstiltskin is the most humorous of the three novels. This is a must-read for middle grade fairy-tale lovers and has just enough humor to attract those less inclined to read. Rump paints a sympathetic and believable backstory for a character whose motivation has never been clear: Rumpelstiltskin. Shurtliff’s unnamed fantasy-land (for names are important) is whimsical enough that readers will want to stay just to find out what quirky creature might appear next. The Story Sheet Back Together Again helps students deconstruct how Shurtliff re-told Rumpelstiltskin and challenges them to de-construct and re-tell Humpty Dumpty in a new way. Need an adventure/fantasy for 8 years and older? 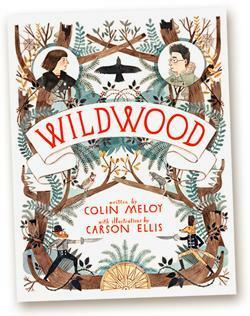 Like Narnia, and other great tales in this genre, Wildwood by Colin Meloy allows readers to wonder about the foundations of our society by setting up an entirely new one just outside our own. At the outset of the story, Prue’s baby brother is abducted by crows and taken to Wildwood, just across the Willamette River from Portland. Prue – and her friend Curtis ­– become embroiled in the machinations of politics and power in Wildwood when all she really wants to do is retrieve her baby brother. There is much that I love about Wildwood: the moderate pacing, the varied point-of-view, the fair-enough handling of the parents, and mostly the main character Prue. I love Prue’s journey to get her brother back, and everything she learns and does along the way. Meloy deals with the themes of justice, peace and non-violence adeptly and still manages to keep the story entertaining. Comments Off on Imagine This. A Friend. Beekle gets tired of waiting to be imagined, and sets off on a journey through the real world to find his friend. What is so magical about this book is the interplay between the real and the fantastical. The combination of both elements in such close proximity makes us believe anything is possible. Beekle is a spectacular creature, yet he is wearing a crown held together with Scotch tape. Heck, I could make that crown. Maybe I could have a friend like Beekle. And that, right there, is the magic in this book. It is filled with everyday magic that could give even those of us in our saddest and loneliest moment a glimmer of hope. Dan Santat assumes that we have spectacular imaginations, like the kids in the story. Just check out the endpapers if you need more evidence of miraculous friends. Children do have imaginations like this – all they need is a little time, encouragement and inspiration. I’m so thankful Santat has provided us some inspiration in The Adventures of Beekle the Unimaginary Friend and glad he has a Caldecott Award to show for it. If you’d like a CCSS aligned worksheet for first and second graders to get started on a story about an unimaginary friendship of their own, try this free download: Unimaginary Friend Story Sheet. Gone Fishing is a treasure for many reasons. First of all: kids love it. It has just enough mischief and naughtiness to spice up a read-a-loud and keep any reluctant reader turning pages. The sibling rivalry at the center of this story will hit home with anyone who has, well, had a sibling. Even for those of us who don’t normally fish, the slimy details keep us involved and invested because we identify with Sam and rejoice as he overcomes his frustrations and failures. The second reason this book is such a treat you may not even notice up front: it’s a novel-in-verse. And what’s even better is that the audience is second and third grade, where we have a dearth of novels-in-verse. Gone Fishing is perfect for this age group because the subject matter is on-point emotionally: a younger sister horns in on her big brother’s fishing trip with dad. Even more appealing to teachers: the poetry is meticulous. After you’ve been through the book once to catch the plot, you will enjoy re-reading to enjoy Wissinger’s craft. Here, the various poetic forms reveal the emotions as true and entertaining, without being overwrought. And, each form is outlined in a neat appendix, handy for future – and practicing – poets. 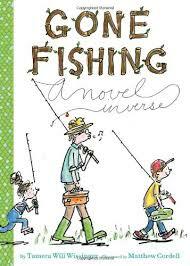 Gone Fishing is a natural fit for the second grade English Language Arts Standards in Reading Literature. The story is told from two very different points of view – both Sam and Lucy ­– making this a perfect read to “speak in a different voice for each character when reading dialogue aloud (CCSS ELA Literacy 2.6).” This short book will help round out the range of complexity called for in the Standards (CCSS ELA Literacy 2.10) by introducing a wide variety of poetry. Some students may be lucky enough to try writing some of their own poetry using the examples in the back of this book. Turning our complaints, failures and frustrations into entertaining poems can take a lot of the sting out of the curves we all get thrown every now and again. Kudos to Wissinger for setting this shining example of resiliency. Out of My Mind is told by a girl who cannot speak – or even move at all – yet she loves words. Melody is practically trapped in her body. But she feels words. Sees words. So, how does she tell the story? I absolutely loved Out of My Mind by Sharon M Draper and I have yet to find a middle school student who does not also adore the book. I understood Melody, who has cerebral palsy and is unable to speak, yet is highly intelligent. Draper does an exceptional job of getting the reader to feel what Melody feels and to empathize with her. The stakes in the story are high enough to keep you reading yet not falsely trumped up as some middle grades can be. There is no unnecessary death, rather the normal ups and downs of a fifth grader, told through an extraordinary lens: Melody’s. I would recommend this book to any middle school reader who enjoys complex characters, and a realistic yet unusual story well told. This book will stay with you because it will expand your understanding of the human experience. For teachers, this book will help with the Common Core Literacy standard to describe how a narrator’s point of view influences how events are described (ELA Literacy RL 5.6). Melody can describe events so accurately yet she is nearly unable to participate in them, verbally at least. Teachers will be able to imagine all sorts of ways to simulate this feeling for students in class. Abled-students have real difficulty with this feeling. 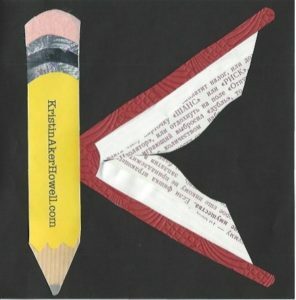 Chapters one and two are particularly rich with “concrete words and phrases and sensory details” called for in the ELA Writing standards (ELA Writing 5.3d).